Having received a 10-minute standing ovation when it first premiered at the Venice Film Festival, Lionsgate is pleased to announce that HACKSAW RIDGE – the extraordinary true story of conscientious objector Desmond Doss – will be available to own from 22nd May 2017. To celebrate the release, we’re giving away 2xDVD copies! From Academy Award winning director Mel Gibson – HACKSAW RIDGE was nominated for six Oscars® at the 89th Academy Awards® including Best Picture; the film took home the award for Best Film Editing and Best Sound Mixing. It was also nominated for five BAFTAs at the 2017 Awards, including Leading Actor; the film was awarded a BAFTA for Best Editing. 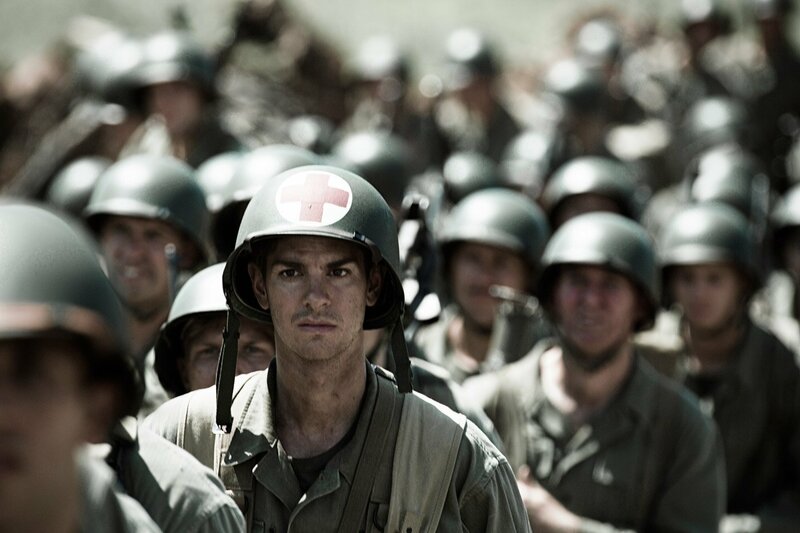 HACKSAW RIDGE is the epic and inspiring true story of DESMOND DOSS (Andrew Garfield; Silence), the army medic and conscientious objector who, during the bloodiest battle of World War II, saved 75 men without firing a gun. Mel Gibson directs this all-star supporting cast, including Sam Worthington (Avatar), Hugo Weaving (The Matrix), Teresa Palmer (Triple 9), Luke Bracey (Point Break) and Vince Vaughn (TVs True Detective). HACKSAW RIDGE will be available on BLU-RAY™, DVD, ULTRA HD BLU-RAY™, BLU-RAY™ STEELBOOK & DIGITAL DOWNLOAD from 22nd May 2017. * The winners will be picked at random from entrants who have correctly answered the question. * Closing date is 26th May 2017. The winners will be notified by email and must respond within a week otherwise they forfeit the prize.